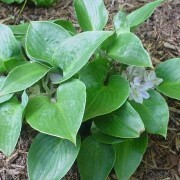 Beautiful new sport from H. 'June Fever'…this one likes the sun! 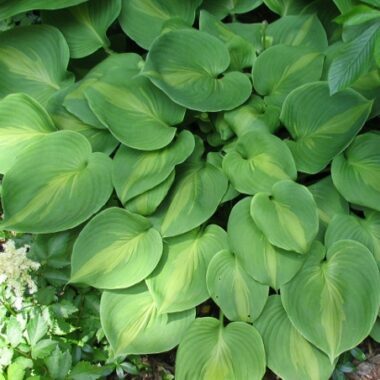 If grown in morning sun the thick leaf centers will be orange in spring and by August fade to a cream color. 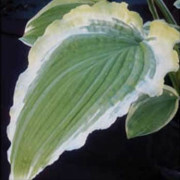 If Grown in the shade and you will have yellow leaves throughout the season that will not darken like the parent does. 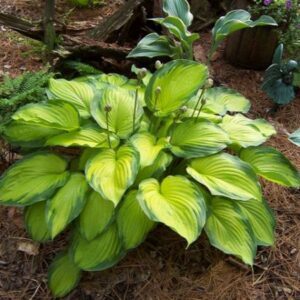 Grows slower and will reach 10-12″ tall. 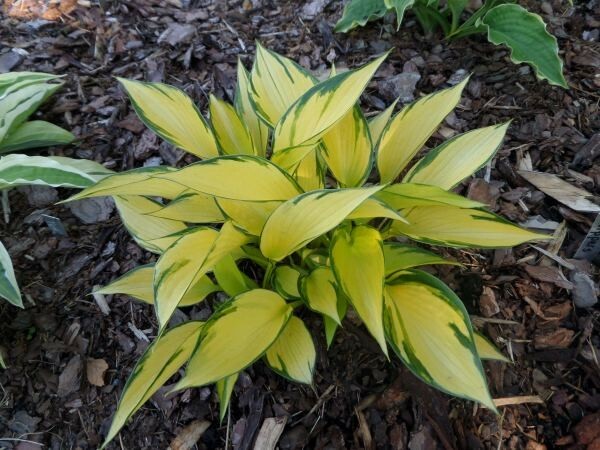 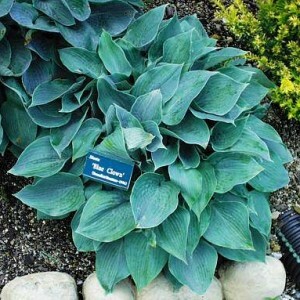 Orange Star Hosta – Beautiful new sport from H. ‘June Fever’…this one likes the sun! 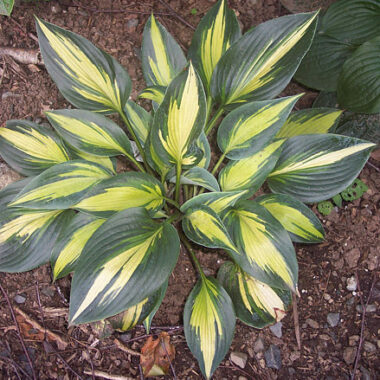 If grown in morning sun the thick leaf centers will be orange in spring and by August fade to a cream color. 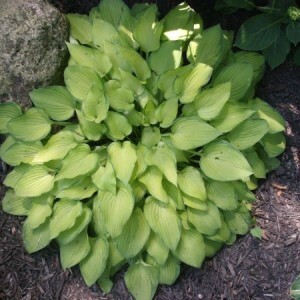 If Grown in the shade and you will have yellow leaves throughout the season that will not darken like the parent does. 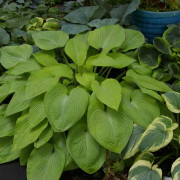 Grows slower and will reach 10-12″ tall.